The Ultimate Ice Cream PieThree pints of Nonna D’s ice cream meets one Salty Honey pie on equally delicious terms. Bocuse d’Or Fund-raising Dinner at Atera; Free Ice Cream at Big GayPlus: an all-pie dinner, and more, in today’s Leftovers. Avert Thanksgiving Disaster: Order Your Four & Twenty Blackbirds Pie NowThe Elsen sisters are swapping the first-come-first-served approach for online orders. 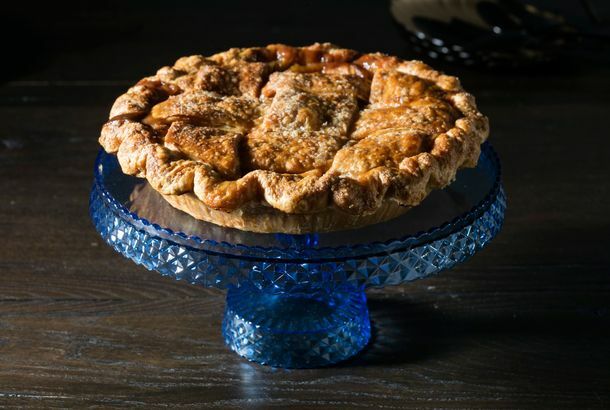 When Danny Meyer’s Untitled Soft-Opens on Wednesday, There Will Be PieFrom Four & Twenty Blackbirds. And Stumptown Coffee too. Spotted Pig Alum Poised to Bring Bacon Cheeseburgers and Gentleman’sThe gastropub’s former chef de cuisine, Nate Smith, expects to open Dean Street within the week. Four & Twenty Blackbirds Will Let You Reserve Your Holiday Pies OnlinePlace your order for salted-caramel apple, bittersweet-chocolate pecan, cranberry-sage, or salty-honey pies.